I blog mainly for myself, because I enjoy putting looks together and because I love taking pictures. So yeah, sometimes what I blog isn’t the latest, hot release of the day/week/whatever, it’s something I just felt like showing off..like todays look. I started out with something slightly different, but realized Id blogged something very similar not too long ago, so I switched around some parts…and here we are now. Hell, I shouldn’t even be blogging today as I should be busy in PS, getting new stuff finished for the World Goth Fair..and preparing for the Pose Fair, but nuuu, I just couldn’t help myself. *does a lil happy-dance* I found some eyelids that actually look good. No more fiddling around to get Shyn to close her eyes at just the right time, which at best looks a bit naff, and I have to fix it in PS. These are in mesh, fully modable, so not that hard to fit and quite easy to tint to match to the skin. Well worth a buy me thinks. Like the little bunny I am. This outfit can be found in the Black Eggs hunt at Depraved Nation, and it’s cuuute. 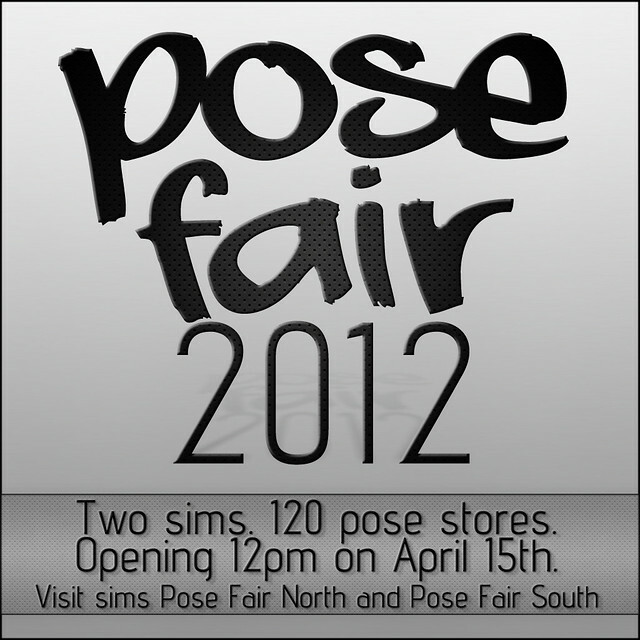 Aaaand, I have another reason to bounce around like a happy lil maniac >.> The Pose Fair starts on the 15:th, and this time it will be even bigger then next year, spanning over two sims. It is one of my favourite Fairs, and I have a feeling I will end up quite broke before it is over as I am addicted to poses and props, constantly buying new ones. You do not want to miss it. There are so many charity and awareness events in Second Life it’s hard to mention them all, and it’s heartwarming to see so many creators come together for an event where the money collected goes to a good cause. Now, I’m not one for many words..or long elaborate posts, as words generally fail me. But I care, I do, so I try to go events such as these and at least donate a little. Every little bit helps. Today the Wear Gray for a day event opened, and once again, lots of wonderful creators have put up items for sale where all the money collected goes to a charity. This time the American brain tumor association, more info can be found on the blog. Also, no, I have no idea why I decided to go with a fantasy outfit for a clearly sci-fi look, it just happened.